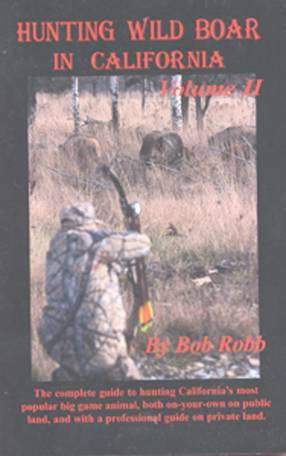 Bob Robb has just updated and greatly expanded his definitive book on wild pig hunting in California. It is a must for beginning or veteran hunters who want to know more about any facet of wild hog hunting, from judging trophies to public land hunting. Now 224 pages, 80 photographs, guide listing.